I AGREE I HAVE NOT READ THE TERMS AND CONDITIONS AND THE ARBITRATION CLAUSE. The Internet is such a popular medium of commerce nowadays that in 2016, it represented approximately 600 billion dollars. That is a lot of transactions from just E-Commerce. It is not surprising that the future is E-commerce. It is also not surprising that corporations keep pushing for more effective ways to increase their profits. Consumers rarely read the pages of terms and conditions included in their online transactions. That is not the problem, however. The problem is companies not giving the consumer access to these clauses in the first place to read them and to inform themselves. It is often said that no one ever reads those long and boring clauses that control the transactions between the company and the consumer. Maybe it is because It was never readily available. In recent cases decided by several courts of different jurisdictions, courts have agreed that companies have not displayed arbitration clauses conspicuously enough for the consumer to be aware of the dispute resolution method. In a 2018 decision Cullinane v. Uber, the appellate court struck down the arbitration clause and the prohibition against litigation. The court held that because both provisions were not conspicuous enough, there could not be an agreement between the parties and, therefore, the provisions were not legally binding. The court further discussed how the website’s link to the contract terms “did not have the appearance of a hyperlink”. The court noted that the link was on a gray box in white bold text, rather than a normal hyperlink where it would be underline and in blue. 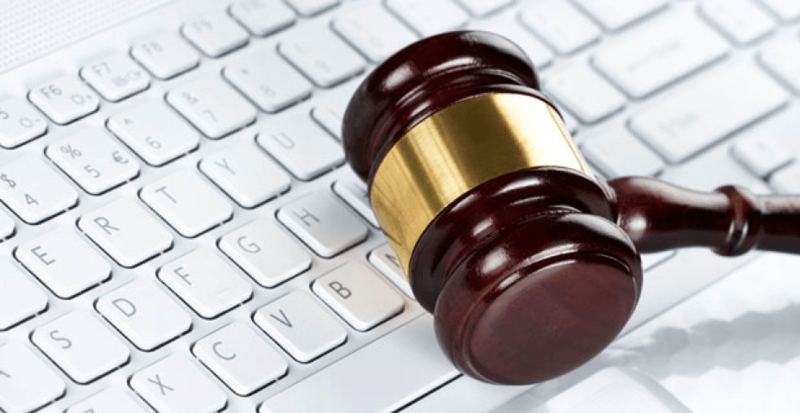 In another major decision by an appellate court, Nicosia v. Amazon, the court described two major types of consumer consent online. The first mechanism is called a “clickwrap”. This method involves the customer checking off a box before proceeding with the transaction. In this procedure, the customer in order to proceed with the payment it is required to check a box. Next to the box normally states: I Agree with the terms and conditions of this agreement. Traditionally, the words terms and conditions are underlined and in blue to show the presence of a hyperlink that if clicked, the page would take the consumer to the agreement. Those types of interactions are considered active because it forces the consumer to take action in order to proceed with the purchase. The Second type of interaction and acceptance are the passive “browserwrap” interaction. This option involves the terms and conditions being posted as a hyperlink, and do not require the customer to take action in order to proceed with the transaction. The court in Nicosia did not strike down the provision because of the passive interaction but, rather, for not displaying the terms adequately to allow the user to get easy access to the terms and conditions. Companies are always on the lookout for new ways of increasing their profit margin, but in doing so they ought to be fair and compliant with the law. Companies that are based exclusively on web interactions and e-commerce should seek the help of legal counsel in order not to frustrate their business interaction with consumers. The consumer now has a much better chance of requesting a more fair and transparent method of doing business. While arbitration clauses are a good thing for business, they must be used correctly. Being upfront with the customer and laying ground rules for the interaction is a much better and fair way of conducting business. Student Bio: Hernan Prados is a Third-year student at Suffolk University Law School. He is currently the Website Administrator of the Journal of High Technology Law. Hernan is Originally from Spain and he received a Bachelor of Science in Business Administration at Suffolk University.